Carused.jp Blog Home » Car Maintenance » What are the Common Causes of Brake Failure? What are the Common Causes of Brake Failure? 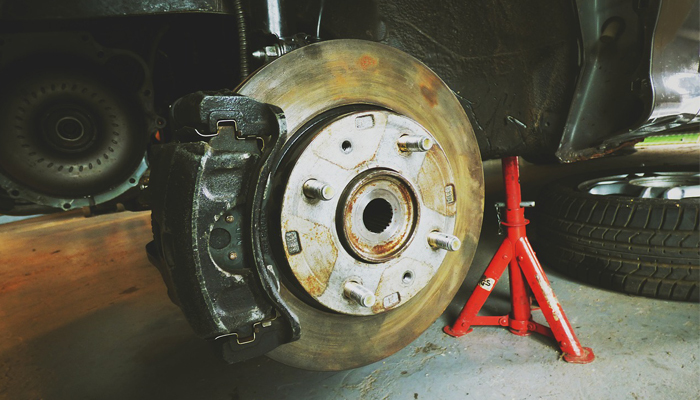 Brake system inspection is a crucial part of car maintenance. After all, this component plays the essential role in ensuring your safety whenever you drive. So, aside from learning the common causes of engine failure, you should also know what can trigger your brakes to malfunction. It is worth noting that even properly cared for brakes can lose their ability to perform. When neglected, brake fade can eventually lead to failure. So, in this article, we are going to discuss the most common causes of brake failure. This way, you will be able to catch the early signs and prevent them from getting worse. The heat generated by braking must be dispelled quickly. When disc brakes have a more open design, it becomes less likely to overheat. It is only natural for the discs to be at the front, generating most of the braking action. Meanwhile, the cheaper drum brakes will be on the rear, providing the brake function when you park. On the other hand, when you’re looking at larger or high-performance vehicles, you will notice that all four corners have disc brakes. If the brake pedal goes all the way to the floor when you press it, it is likely that there is something wrong with the air pressure. When you step on the foot brake, the air used must build up quickly. Keep in mind that when the pressure drops too low, you should pull over to safety and avoid attempting to drive the vehicle. No matter the speed a car is traveling, such situation will put your life at risk. Ideally, cast iron is the suitable material for brake parts. However, it can rust quickly. The action of the disc pads can quickly clean off the surface rust on the front. However, this may not be the case on the rear drum brakes, especially on small, light vehicles or cars that are not used frequently. The rear drum brakes do not typically experience corrosion issues. Heavy braking can clean off initial, light corrosion. However, if neglected, this light rusting can get worse and cause surface pitting. Before, pitting is one of the causes of MOT test failure. These days, the only reason why discs fail the test is when they’ve become ‘seriously weakened’. Eventually, the front discs start to wear out and they end up becoming too thin. It is worth noting that manufacturers specify the indications that tell you when you need to replace the discs. It is advisable to change them in pairs. At the same time, you must replace the pads. The disc’s shape can change because of uneven cooling and heating. When you feel shakiness coming from the pedal, it means that your discs are distorted. Keep in mind that worn out or thinner discs are more susceptible to warming. Ideally, you should keep yourself from holding the vehicle back when you are going on long downhill stretches. Otherwise, you will subject the discs under tremendous heat. Instead, you should use engine braking and place your car to a lower gear. Water starts to vaporize as the brake fluid reaches a high temperature. That said, the steam will be compressed, preventing the braking motion from being transmitted to the wheels of the vehicle. Consequently, the car will not be able to brake properly. Can you suggest other causes of brake failure?